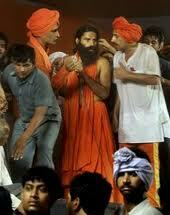 NEW DELHI: The Supreme Court on Monday issued notice to the government on eviction of Baba Ramdev from the Ramlila ground. Taking suomoto cognizance of Baba’s eviction by the government the apex court gave the government two-week notice to respond. An advocate on Sunday approached the Supreme Court seeking a direction to the government to issue a white paper on the entire episode leading to the eviction of yoga guru Ramdev and the alleged barbaric police action early today against his followers at the Ramlila Grounds. The petition filed by Ajay Agarwal said in the white paper the government should explain the entire sequence of events, details of negotiations and the so-called deal between the government and Ramdev. The petition, moved before Additional Registrar Vinod Kumar who is the vacation officer, sought a direction to the Ministry of Home Affairs, the Intelligence Bureau and Delhi Police to produce the entire records leading to the action. The advocate has sought the production of these records with in 24 hours. The additional registrar asked Agarwal to mention the petition tomorrow before a vacation bench comprising justices B S Chauhan and Swantanter Kumar at 10:30 am for hearing. The petition has also sought direction to the government to restrain its ministers — Kapil Sibal , Subodh Kant Sahay and Pawan Kumar Bansal — from making any statement, justifying the midnight swoop which is leading to provocation among the public. In the petition, Agarwal has named Prime Minister Manmohan Singh, Home Minister P Chidambaram, Sibal, Bansal, Tourism Minister Subodh Kant Sahay, Cabinet Secretary K M Chandrasekhar, Home Secretary G K Pillai, IB Chief Nehchal Sandhu and Delhi Police Commissioner B K Gupta as respondents. In the petition, the advocate has alleged that the forceful eviction of Ramdev and the use of force against his followers was against the fundamental rights guaranteed under Article 14,19 and 21 of the Constitution. By now you may have seen the rumors swirling through the blogosphere: our E! buddy Kim Kardashian has a bun in the oven courtesy of newly minted fiancé Kris Humphries. KIM Kardashian and her fiance Kris Humphries are hedging their bets and have decided on signing a prenuptial agreement before they tie the knot. Newly-engaged Kardashian and Humphries are apparently hashing out a deal to have all the financial details of their relationship in place before they start planning the big event. Both 30-year-old Kardashian and her 36-year-old basketball lover of six months are telling friends, “It’s the smart thing to do”, sources told website TMZ. 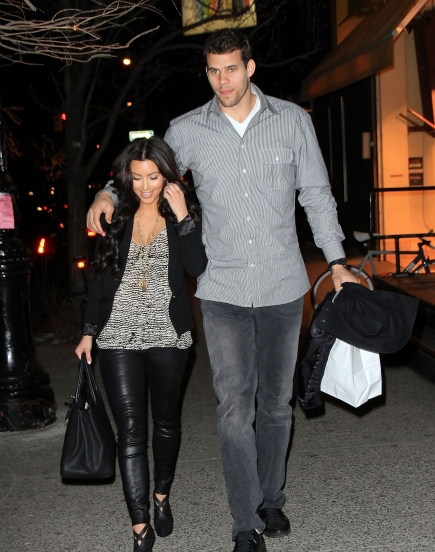 Both Kardashian and Humphries will want to protect themselves as they have substantial incomes. Kardashian is said to be worth $35million from her various endorsement deals, reality TV shows, clothing lines and fragrance collections. Humphries reportedly makes $3.2million a year with the New Jersey Nets and he owns a couple of burger restaurants with his family in Minnesota. He is said to be worth approximately $8millionKardashian’s late father, famed O.J. Simpson attorney Robert Kardashian, apparently told her about the importance of contracts. It is one of the most famous and photographed derriere’s in the world. And it seems that Kim Kardashian is equally impressed by her backside. The 30-year-old says that she is proud of her world famous bottom and once again denied that she has had plastic surgery in a recent interview with Australian’s Cosmopolitan magazine. 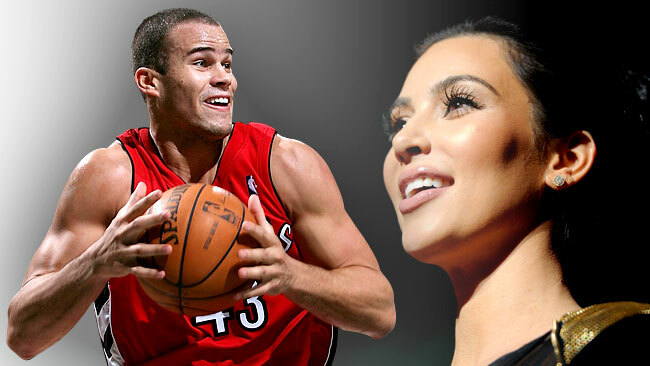 The Kim Kardashian/Kris Humphries Wedding: How Huge Will It Be? Is it possible the April 29 wedding between Kate Middleton and Prince William was merely a warm-up act? Might the world need to brace itself for nuptials that receive even more attention? Pretty much, Khloe Kardashian says. The proposal itself was captured on camera and, naturally the ceremony will air on E! ; Kourtney admitted this week that her family does “sell our souls” to the network. How much money will Kim make off it? Marco Gonzalez, a senior reporter for photo site X17 Online, sees almost no limit, comparing it with the Royal Wedding. We’re getting sick just thinking about it. Did Scotty McCreery Deserve to Win American Idol? 122 million. That’s the number of people who crowned the newest American Idol this week. Not exactly a small sample size. We could keep playing the numbers game – how many songs, how many aspirants he bested – but you get the idea. Some will say Pia Toscano was ousted too soon, and she probably was. Ditto James Durbin. But can anyone really dispute Scotty McCreery’s worthiness? Many of this year’s eliminations were controversial, but only relative to some of the contestants who outlasted them – not to Scotty specifically. He’s got an outstanding voice perfectly suited for country, and he proved it time and again. What he lacks in flair, he makes up for with talent. Slow, smooth and steady won this race, and deservedly so. 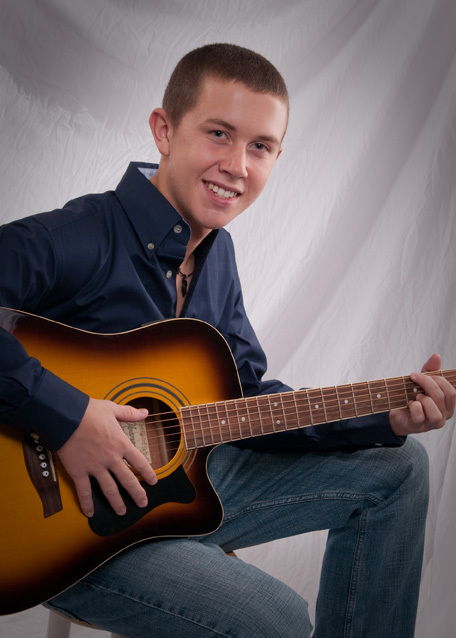 Scotty McCreery is a fantastic singer. If I were going purely by voice, he’d have earned my vote as American Idol champion after his first audition. But forget what the judges say: This is not purely a singing competition. There are, and there should be, other factors at work. The legitimacy of Idol itself is at stake, especially with new competition such as The Voice and The X-Factor. It really needs to crank out a successful winner, and Lauren Alaina stands a better chance at sustained success than Scotty does. For whatever reason, male victors simply don’t do well on the charts. Kris Allen? David Cook? Lee DeWyze? Can anyone name a top 10 single by any of them? As evidenced by her duet with Carrie Underwood, Alaina has a long way to go. But she’s tough. She overcame a sprained throat to compete in the finals. She clearly wants this and I have no doubt she has more potential to be the next Carrie than Scotty has to be more than a one-month wonder.